Wasn't quite as laggy for me, so I got to play a bit more of the game. I think the simple graphics really put this game into uncanny valley for me. 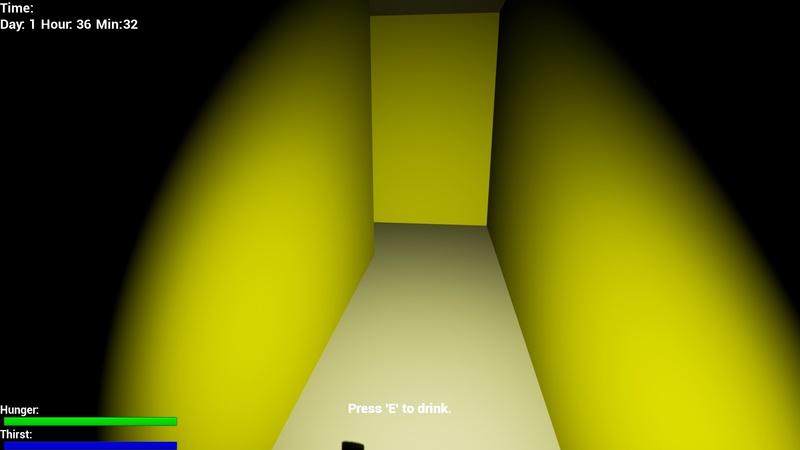 Just having the pure yellow walls surrounding me was enough to give me a sense of claustrophobia and the AI's model and textures was pretty creepy, so I think its kinda successful at being a horror game. That being said, some music and sound effects would definitely make it better. Having the AI come kill the player right at the start isn't a good idea, since the player would need some time to orient and prepare themselves. 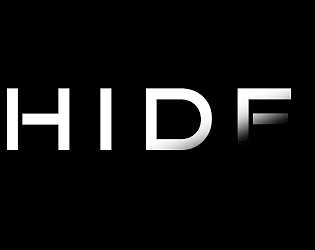 I think it would also help the mood as letting the player get a good head start would give them some sense of security, then suddenly introducing the AI hunters would take away this sense of safety. Imagine walking around the maze for a few minutes and feeling like you're doing well, then suddenly a creepy humanoid figure starts chasing you from behind. Something like that? I think that the main shortcoming of this game is high requirements to hardware: it slows down drastically and it's hard to play it. I tried to play it several times and finally I managed to stay alive more than first 2 seconds (: In general, it looks interesting, but quite drab and boring.I think that sounds and music would make this game much better: when I play it I at least feel need to hear all these creatures walking around me. I would like to say that I could barely play this game. I don't know why but it was VERY laggy. So my ratings are based on a small sliver of gameplay. First of all, I noticed there was no sound at all. Walking around, no sound. Getting murdered, no sound. Not even any ambient noises. If this is suppose to be a survival/survival-horror game, then you NEED sound. 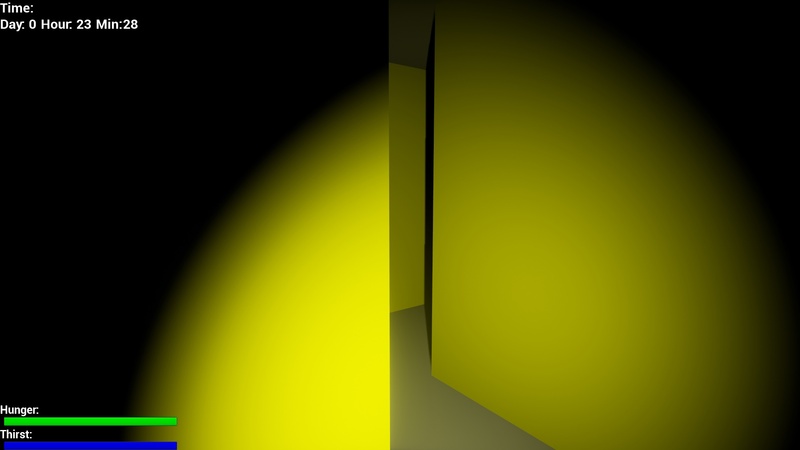 Art style was minimalistic, just blank yellow walls, not much texturing, blah blah blah, and that's perfectly fine. I don't mind the art style, there's nothing really "wrong" with it, but there's nothing really remarkable about it either. The theme fits fine I guess, though I don't know where you are or why wherever you are would have yellow walls in the middle of a world war II battlefield. And I just gave Gameplay a 3 because as I said, I barely got to play it. PLEASE add something like quality settings if you continue to develop this game. It is kinda normal. I mean the AI got you, beacuse for some reason the AI acts differently when the game is compiled out. You can run away if you are fast enough. In about 2 seconds after I start playing it, it says "You embraced your faith". Is it normal behaviour of the game?